For fine crushing or grinding and drying of chrome mine, you can choose SBM GRINDING MILLS in chrome mine processing plant. SBM high performance grinding mills are renowned for their reliability and efficiency. Our chromium grinding mills are extremely versatile and adaptable to the most complex of processing demands. 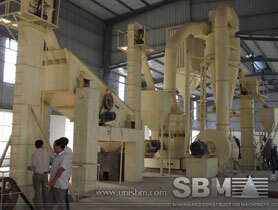 SBM ball mill and rod mills are widely used for chrome mine grinding. Actually the long list of materials which can be processed by our products also includes limestone, fertilizer, dolomite, lignite and gold mine, etc. There are assistant feeders, washers, screens and conveyors for your chrome mine plant. SBM supplies a full range of cost effective, heavy duty, screening solutions to meet the requirements of miners and quarries. "We bought high pressure grinding mill from SBM for our chromium grinding and really get higher profit than other milling machine."